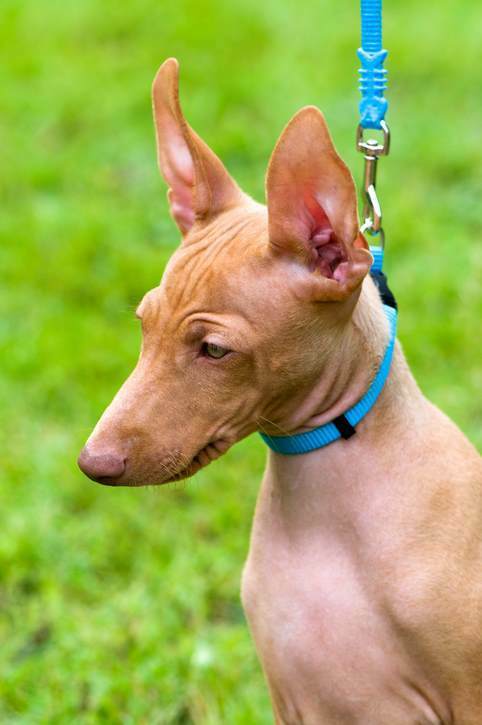 One of the newest breeds to be accepted by the AKC, the Cirneco Dell'Etna is a sweet, independent hound that resembles the Pharaoh Hound, a much larger dog. Good with Other Pets: Yes, Dogs and Cats, less likely to do well with pocket pets such as hamsters. 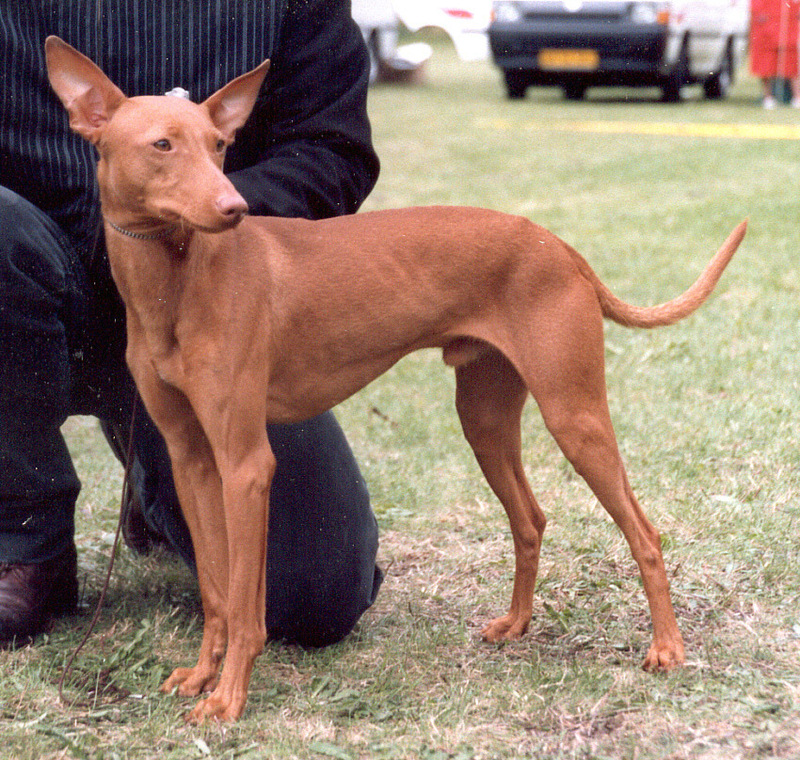 Cirneco Dell'Etna, a very ancient breed. Unlike many small breeds who can trace their heritage to the 19th century, the Cirnechi Dell'Etna's presence stretches back some 3000 years. It is likely that the ancient Egyptians developed sighthounds, a group of hounds that are known for speed such as the well-known Greyhound. As time went on, these "coursing hounds" as they are known today, were sold, bartered, or given away all around the Middle East. It is thought that ancient Egyptians perfected “sighthounds” or “coursing hounds,” the canine clan of explosively fast hunters struck from the Greyhound template. In antiquity, offshoots of the “Egyptian Hound” were developed and bartered around the Middle East and Mediterranean basin. In this way, they arrived in Sicily via the Phoenicians, traders of the ancient world. Coins depicting pictures of dogs similar to the Cirneco Dell'Etna were found and likely minted between the third and fifth century BC. As the legend goes, Dionysus was said to have built a temple in 400 BC on the slope of Mount Etna. The Temple of Adranos was supposed to have been guarded by a thousand Cirnechi who had the divine ability to differentiate between thieves and pilgrims. Like wildlife in general, the Cirneco Dell'Etna evolved through natural selection and not by the hands of humans, something very rare in modern dog breeds. The environment where they lived on the slopes of the volcano was hot and dry with the volcanic lava all around. Over the years, these dogs were owned primarily by poor farmers who relied on them to hunt rabbit. Keeping a bit of meat on the table was much more important to these peasants than breed standards or shaping the next show dog. Prior to the 1930s, these dogs were virtually unknown outside of Italy. During the early 1930s, it came to the attention of a veterinarian by the name of Dr. Maurizio Migneco, that this breed was on the verge of extinction. He wrote an article which was read by Baroness Agata Paterno Castello, who ended up reviving the breed in Sicily. They were recognized by Italy's National Kennel Club in 1939, but it wasn't until 2015 that the breed was recognized by the AKC. The breed standard calls for a strong, lively independent temperament that is also gentle and affection. True to the nature of a sighthound, this breed hunts with sight and speed and can get away from you easily if something catches their eye. For this reason, they should not be trusted off leash and do much better in securely fenced areas. These dogs are also great at jumping and digging, so a tall fence is a must. Keep in mind that jumping is not reserved for fences alone. A clever Cirneco can acquire snacks and full meals left out on counters and tables. Training helps, but these dogs will truly keep you organized and watchful at all times. Today, most owners keep these dogs as companions, but they do retain many of the traits that they have carried through since their origins. They are alert with an independent temperament, perfect for a hunter. But, they are also playful and gentle making them a good choice for families with children. They are quick and will train easily if you use a positive approach and they respond very well to treats, play and praise. They do very well in families with other dogs. If they are raised with cats, they will also get along well with them. Small pocket pets may seem like prey to a Cirneco so close supervision is recommended. To be happiest, they need plenty of exercise to run and walk. A lively game of fetch is also an excellent way to provide the much needed exercise of the these dogs. Normally quiet indoors, they can get destructive if not given enough time to find an outlet for all of their energy. Due to their short hair and background of living in hot dry climates, these dogs undoubtedly do much better in the heat than in the cold. A coat or sweater is necessary in cold climates and watch for frostbite to paws on extremely cold days. 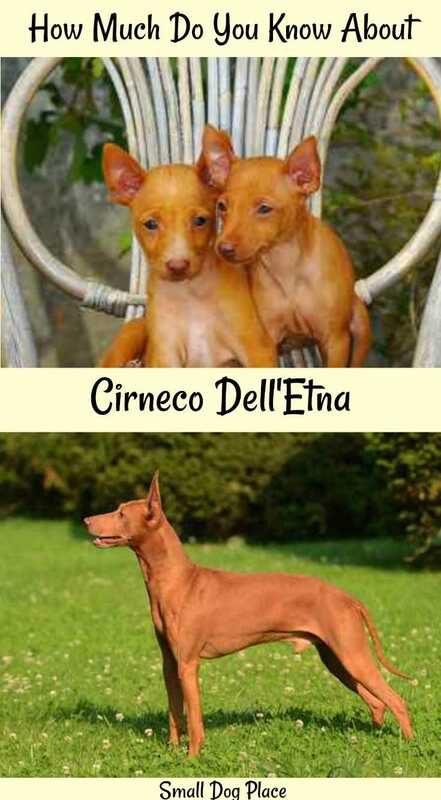 The Cirneco Dell'Etna is also a great breed to get involved with in canine sports. They do well in coursing, obedience, rally, tracking and of course conformation. These dogs are ideal for people who hate to groom. They require little in the way of coat care. Their smooth short coat can be brushed with a soft bristle brush or hound glove about once per week, but bathing is only needed occasional. They are not hypoallergenic but do shed. Shedding is minimal, and kept under control with a weekly brushing. Nails will need to be clipped, and ears checked periodically to excess dirt or wax build up. When necessary a quick ear cleaning with a good ear cleaner and a cotton ball or gauze may be all that is needed. These dogs do not get ear infections frequently due to the way the ears are positioned. Teeth should be brushed as frequently as possible using a good dog toothpaste and toothbrush or other product to keep those teeth looking great. 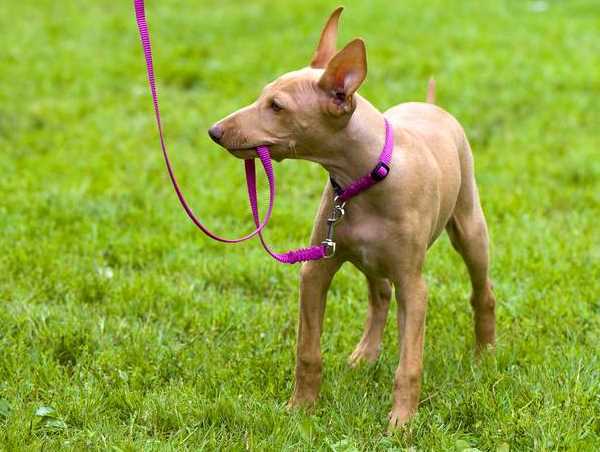 Few breeds are without health concerns, but the Cirneco Dell'Etna may be one that comes close. With little human intervention over the years, the breed has remained pure and less likely to succumb to one of the many genetic issues that plague many breeds. Injuries may be the biggest problems for these dogs since they are so athletic, running and jumping and with plenty of stamina that may make them forget they got injured. This doesn't mean that the Cirneco Dell'Etna can't get sick due to infectious agents or suffer from parasite problems. Thankfully, these issues are all preventable.